The ESL controls the use of electrical switches by Netherlocks standard linear keys. 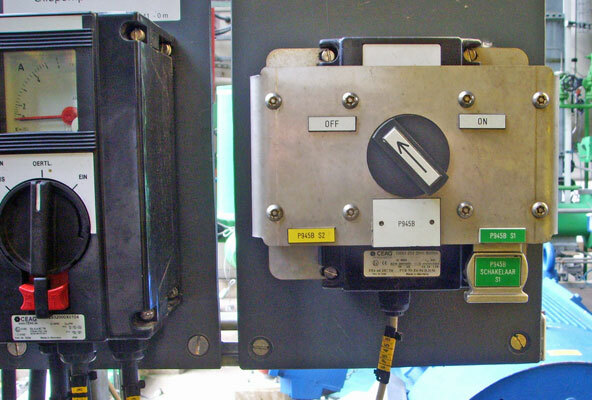 This way electrical switches can be included into valve interlock operations, for instance to prevent starting up the pump unless the suction valve is open. Only after inserting the dedicated key, the switch can be turned. After turning the switch, a second key is released to continue the sequence and to prohibit the switch again from being operated.